piece for the flanged edge. make your bends, you will have to make your notch. 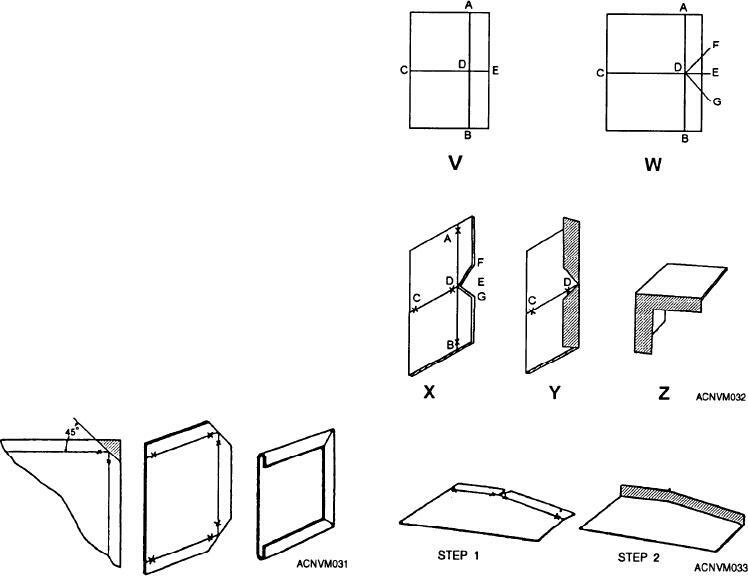 use a modification of the full V-notch to get flush joints. The angle of the notch will depend upon the bend angle. A modified V-notch is shown in figure 12-33.
notches you can see in the sheet metal shapes. full V is shown in figure 12-32.